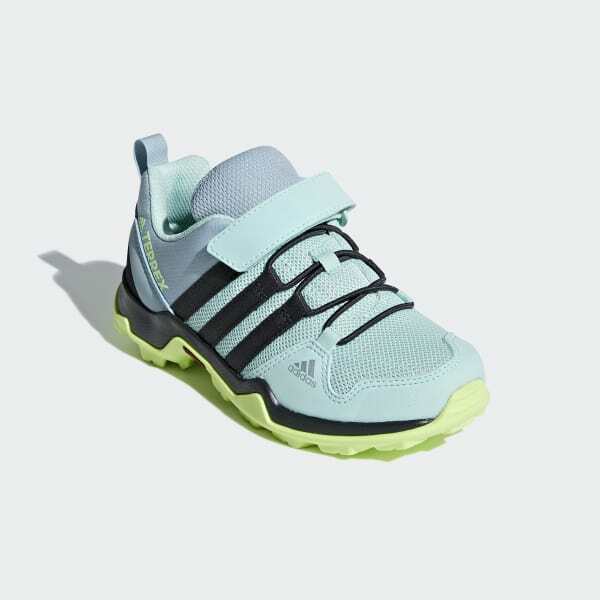 Low-cut shoes with a comfort closure strap for young hikers. Built for younger hikers, these kids' outdoor shoes feature a low-cut profile with a comfort closure strap. Textile upper with overlays keeps feet protected and supported on the trail, while elastic lacing allows for easy on and off. The TRAXION™ outsole grips rocks and trails.